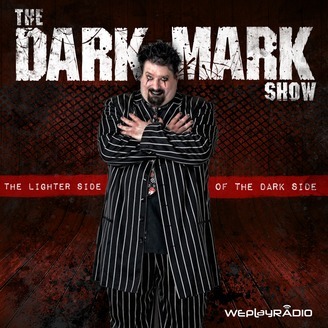 The Dark Mark Show explores the lighter side of the dark Side. Mark and Nicole throw a wild freak show where anything can happen and usually does. Rockers such as David J., Richie Ramone, Matt Zane, Sin Quirin and Aaron Rossi of Ministry, TV stars such as Amazon Eve from American Horror Story, former anchorwoman Bree Walker, That Chris Gore from G4TV,,Cig Neutron and Missy Munster from Face Off and adult film stars such as Sasha Grey, Ginger Lynn, Jessy Dubai and Venus Lux have joined the weirdest characters in Hollywood and have encountered fire, literal sparks flying, needles with feathers attached, electric wands, tasers, clowns, fish hooks, whips, beds of nails and above all big laughs and stimulating adult conversation and at least once a show at least one moment of intelligence. 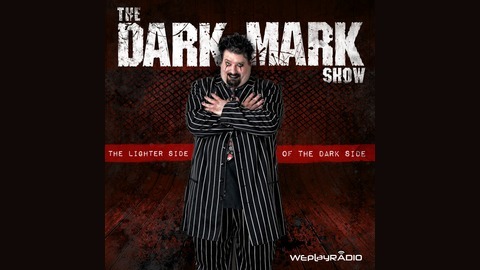 Mark and Nicole celebrated The Dark Mark Show’s 3 year Anniversary with a fiery show with special guests singer/actress/poet Otep Shamaya and fire performer Arabian MK. Otep talked about her extraordinary career and her new album Generation Doom and let MK light her on fire.